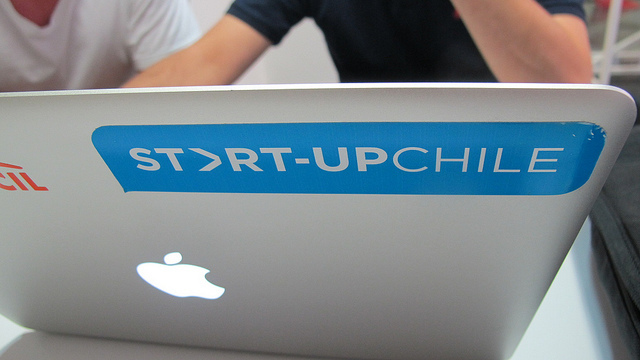 Start-Up Chile has received 1,509 applications to join its next incubation cycle, the government-supported program announced today after closing the application process yesterday evening. As the organization points out, that’s more than double the number of projects that were presented in previous rounds. As you may know, Start-Up Chile offers international startups a $40,000 equity-free reimbursement program and other perks such as office space if they accept to move to Chile for a few months with part of their team. As you can imagine, this didn’t go unnoticed in the startup world, which explains why the number of applications is rising. Yet, even the best opportunities can be missed without a proper communications plan. As a result, Start-Up Chile decided to organize meet-ups in a handful strategic tech hubs to spread the word about its latest call for projects. In addition, former participants also act as advocates for the program when/if they choose to go back to their own countries. As a result, the batch of applying startups is very international, and no less than 61 countries are represented – or even 71 if you look at the nationalities and countries of residence of their team members. While Chilean applicants couldn’t participate in the first rounds of the program, they now form 39% of the application batch, followed by the United States (12%), Argentina (6,6%), Brazil (4,9%), India (4,9%), Peru (3,3%), Spain (2,7%) and Canada (2,2%). “These stats are really satisfying and they also give us many good signals. One of those is that Chile is becoming a strong innovation hub that can attract talent coming from over 70 countries. That’s great to know. Another very positive information is that the number of Chilean applicants is growing, and we think this is happening because they now see that our own country is an excellent platform to go global. Chileans are realizing that the local ecosystem for entrepreneurs is stronger than ever and that it is absolutely possible to create solutions from Chile aspiring to be global. Still, it remains to be seen how many nationalities will be part of the final selection, as ‘only’ 100 startups will make it to Chile. According to Start-Up Chile, it will communicate its decision to entrepreneurs on August 31, the day after its upcoming Demo Day (see our story about May’s Demo Day). Another application process will open in October, it adds.